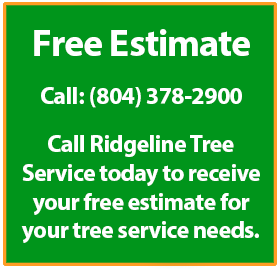 Ridgeline Tree Service provides reasonably-priced and efficient Stump Grinding in Richmond, VA and the surrounding areas. Regardless of the type or size of the stump you need removed – our skilled staff are available to assess your situation and offer a fair price. 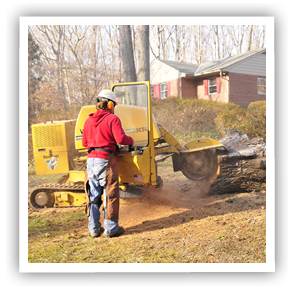 Fill out the form below for a free quote on STump Grinding services in the Richmond, VA area. Our team of ISA-certified professionals have the equipment and experience every stump removal job. Take advantage of the fastest and most reliable way to get rid of those pesky tree stumps from your yard. We can grind stumps and clean up the mess to boot. At Ridgeline Tree Service, we have the right equipment for grinding all types of stumps – whatever the size or complexity of the job. Whether the service is part of removing a tree from your yard, or you’ve got a few old stumps lying around affecting the value of your property and attracting unwanted insects – our Richmond tree service is here to help you out. We can get the job done cleanly and quickly. Usually, after removing a tree, you’re left with a stump in your yard that takes away from the yard’s overall aesthetic appeal. It doesn’t make sense to leave them to decay and attract unwanted wood eating insects. The older the stump, the more fragile the structure becomes, with hollowed and decayed spaces a twisted ankle is never far off. Last, but not least – tree stumps take up space, can be unsightly, get in the way of mowing and prevent future plantings. While some tree stumps are easier to remove than others after a tree removal – we have never met a stump we weren’t willing to tackle. We will evaluate the stumps that need to be removed and determine the most suitable approach. A large number of people think stump removal is a pretty straight-forward DIY job, but as noted in this Safety Guide – there’s a number of factors that need to be taken into account. Typically, the cost of having a stump professionally removed is little more than that of renting the equipment itself. By the time blood, sweat and tears are factored in – it’s usually a pretty easy decision. 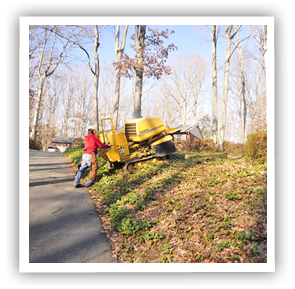 Stump removal is typically priced based on the size & location of the stump. Ultimately, the cost of the job will come down to the complexity of the removal/grinding. Get in touch with us today by phone for a complimentary field visit and evaluation of your stump removal project.